Oh, but do not mistake this as an end, this is just the beginning. Katherine refuses to hand over her soul quietly and Jonathan will stand beside his friend, feeling the bitter sting of helplessness as he realizes that he might possibly be the cause of her demise. So now a new relationship unfolds between them, one of checks and balances, hints, clues, and mysteries, where the two, despite their now forbidden friendship, will work together to manipulate the List. But just as resolute, the law won’t stand idly by as Katherine assists in the deaths of others. Every form of law enforcement is preparing to conduct a global manhunt to bring her to justice. Nor will the Creator of the List tolerate a friendship that goes completely against his rules. The collections continue to increase in difficulty, pushing Katherine into an irreversible life of crime where the only possibility of escape is her own death. Yet Katherine, as impassionedly determined as a trapped animal trying to escape its captor, will stay the course in her fight to overcome Heaven, Hell, earth and … the Collector. 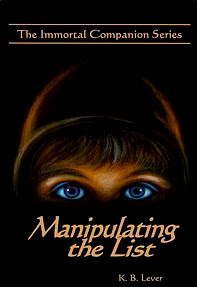 Manipulating the List by K.B. Lever was a very interesting debut novel to read. I think the idea and concept is great, however I think that it was executed poorly. Lever had a great idea and there was a lot of material that she could have worked with. I think overall she had a decent storyline. The problem that I found with this novel was that I was not able to keep track of what was going on. I found myself very confused about what the main character, Katherine was going through. How did we get from point A to point B? I came to realize that Jonathan and the Collector is the same person but why did Katherine refer to Jonathan by his name sometimes and by the Collector at others? Why did the Collector need to collect souls? They were purposefully killing people, to collect their souls, why did this need to happen? Too much is left up in the air. 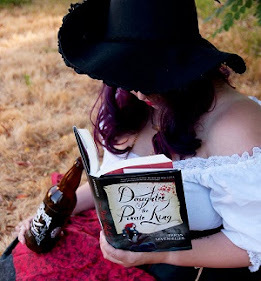 Katherine: I really didn’t like Katherine much throughout the story, it isn’t that she wasn’t portrayed correctly; I think Lever did a great job describing her character to the reader. I think Katherine is a very selfish person. She made friends with people, just so she could help the Collector take their souls, so that Katherine may live. I had a hard time trying to connect to her because I honestly couldn’t understand why a person would treat someone else like this. Jonathan/the Collector: I think Jonathan could be a very interesting character. We don’t really get to know Jonathan in this first book, so I hope with the continuation of the series that we get to know Jonathan a little better. I would like to know how Jonathan became a Collector in the first place, or if he was just born that way. How did a Collector come about? It would have been better if there was more of a background story for Jonathan, than the little bit of information that was provided. Jennifer: The story line with Jennifer was actually my favorite part in the entire book. I really like Jennifer, and this is when I thought the story was actually going to go somewhere. I thought that maybe the pace of the book would finally pick up and we would see what is really going on in the background of all of this. I think Jennifer is a great character; she is the helpless friend that just needs somewhere to care about her. I think Lever did a great job portraying Jennifer. Out of all the characters in the book, Jennifer is by far my favorite and the one I could relate to the most. She is striving to care for herself and her unborn child after she left her cheating husband. She is trying to make a life for herself, even though she is on her own. Liam: Where to start? I thought this might be the beginning of a new romance and in a way it was. It was starting to bud but it didn’t get too far. Liam seemed like a nice guy. He seemed like he cared. I can’t really say much more about him without giving away spoilers. The ending gets its own paragraph. I finished the book and I couldn’t figure out if I was more confused or just upset. What comes down to it is that I was both? I just read this book, and I don’t feel like I got any clarity at all. I have more questions than I did before and I don’t completely understand what has happened. Lever surely can leave us with a great cliff hanger. I think she did great on that part. The cliff hanger was quite shocking to me. My overall thoughts of this book: I don’t want to say that I people shouldn’t give it a chance because I think some people could really enjoy this book. For a very avid reader like myself, I had a hard time getting into it because there is very little information that is given to the reader; it is easy to feel lost and confused. I can’t really sum up the book to someone and tell them what it is about; I can give them a general idea though. I don’t think this is a horrible debut novel, but I do think that the idea could have been executed better. I just want to say to the author K.B. Lever, thank you for giving me a chance to read your book. Congratulations on your debut novel. Keep on writing. I give "Manipulating the List" three out of five bookshelves.